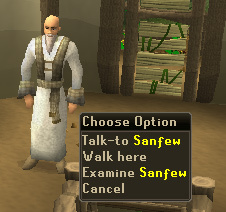 First off, speak to Sanfew, located upstairs in the Taverley Herblore Shop. Ask if there's anything else you can do to help reclaim the Stone Circle and he says that he needs a special herb for the purification ritual. He tells you that the Trolls know where the herb is, so head north to the Troll Stronghold. 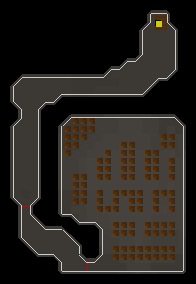 The easiest way to the Stronghold would be to go through Tenzing's house, buy some Climbing Boots for 12gp and head northeast along the path until you reach some rocks to climb over. Climb over the next 2 piles of rocks and head through the arena. Go through the cave to the west and then follow the path, using your Protect From Missiles prayer when you come across some rocks blocking the path to the side. Run past the Thrower Trolls, and then head southeast up the mountain. 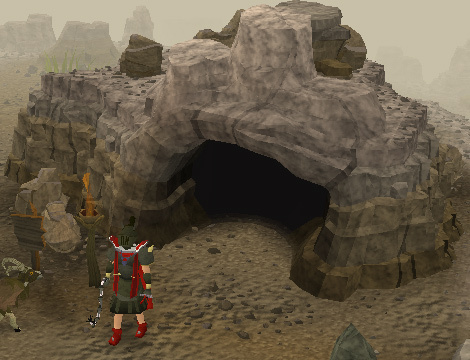 Climb the rocks and go inside the cave to find Eadgar. 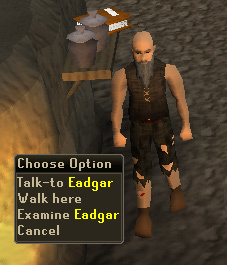 Talk to Eadgar and ask him about Goutweed, which he'll tell you to talk to the Troll Chef. Head back down the mountain and head south to a group of Trolls. Now head north and up a hill, which leads into the Stronghold. 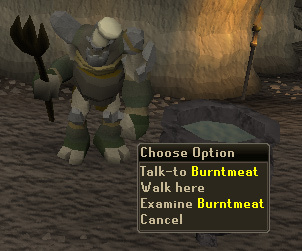 Now head north, down the stairs and then south into the Kitchen, where you'll find Burntmeat. He says that he wants a tasty human to eat, so head back to Eadgar who says that you should get a Parrot. Note: If, for some reason, you happen to lose the parrot or die with it in your inventory, you can get it back from Eadgar. Of course, we can't give the Trolls a real Human to eat, so we'll have to think of something. 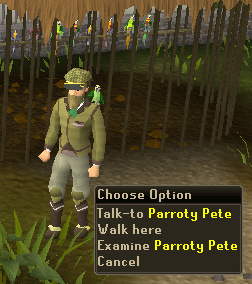 Head to the Ardougne Zoo and talk to Parroty Pete, asking about when the Parrots were added and what they eat. He says that they eat Pineapple Chunks. 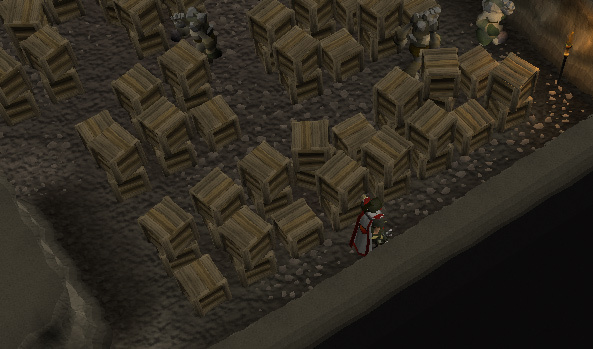 Head to the Gnome Stronghold to the northwest, and buy some Vodka for 5gp, and a Pineapple for 1gp from Heckle Funch's shop upstairs in the Grand Tree. 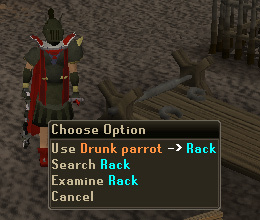 You'll need 2 sets of logs, 10 grain, 5 raw chicken and some dirty clothes to make it look like the parrot is a human. Head back to Sanfew in Taverley, and he says that Tegid may have some clothes for you. Tegid is found south of Sanfew washing clothes in the river. 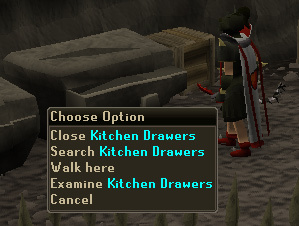 Tell him that Sanfew won't be very happy if he doesn't help, and he'll give you some Dirty Robes. 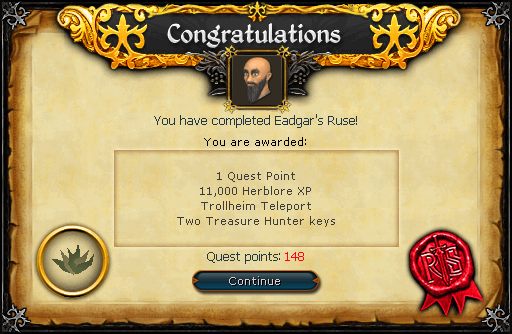 Bring everything to Eadgar, along with a tinderbox, vial of water, Ranarr Weed, and a Pestle and Mortar, and he'll take 1 set of logs, the grain, chicken and robes. After bringing everything to Eadgar, he tells you that you now need to make a Troll Truth Potion so that the cook won't lie to you about the herb. Leave the cave and search around in the patches of grass for a Troll Thistle to pick. Light a fire and use the thistle with it to dry it, and then grind it up using the pestle with it. 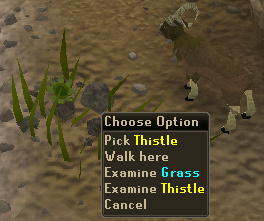 Mix the Ranarr Weed into the vial of water, and add the ground thistle to it to make a Troll Potion (gives 78 Herblore Experience). Now bring the potion back to Eadgar and he tells you to get the parrot from the Jail. You are safe here until you are ready to run again. Wait until the troll approaching from the south has turned the corner again, then run down to the side of the sleeping troll (you'll see it initially as a yellow dot at the very south of your mini map). 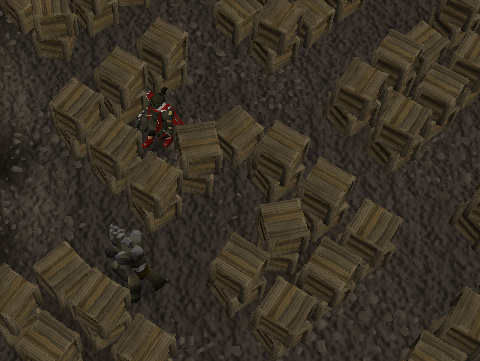 Search the goutweed crate as soon as you reach it. You will get hit for around 30 Life Points and end up outside the door again, but you should have the goutweed in your inventory.